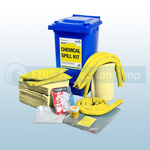 At Fire Protection Shop we offer a comprehensive range of emergency response chemical spill kits enabling you to handle and clean up hazardous and corrosive liquids. 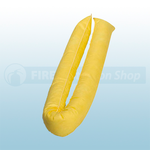 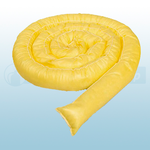 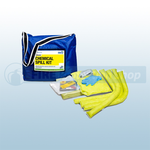 Kits come in sizes for dealing with chemical spills from 5 litres to 950 litres. 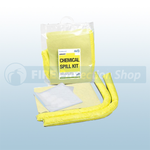 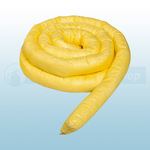 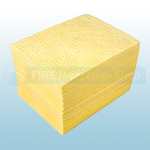 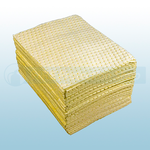 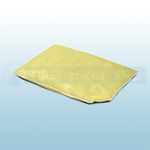 Our range of chemical spill kits contain a range of absorbents including chemical pads, chemical socks, chemical cushions, chemical booms and chemical rolls. 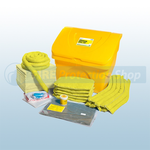 Most kits also contain our Dammit mats or Dammit ready mix that seals tears and holes in drums. 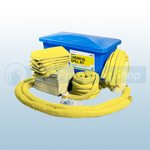 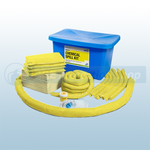 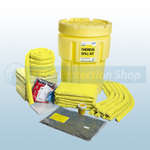 If spills are likely to be of non-corrosive chemicals, hydrocarbons, solvents and other aqueous and organic liquids please see our range of Maintenance Spill Kits. 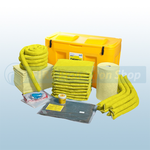 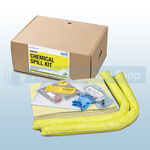 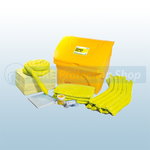 If spills are likely to be of hydrocarbons please see our range of Oil Spill Kits. 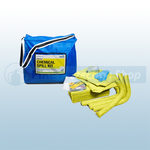 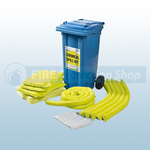 Our range of chemical spill kits are available in a variety of containers including wheelie bins, bunkers, pvc shoulder bags, snap handle bags, boxes and bins.